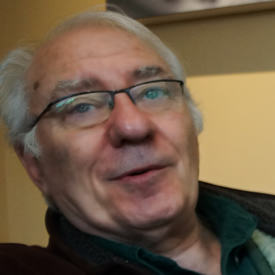 Peter Taylor is Professor of Human Geography at Northumbria University (UK), has previously been at Loughborough and Newcastle universities, and has held nine visiting positions in universities in North America and Europe. He was a founding editor of Political Geography (nee Quarterly) and Review of International Political Economy, and is the Founder and Director of the Globalization and World Cities Research Network (GaWC). A world-systems analyst, he is an Advisor to the Chinese Academy of Social Science (Beijing). (i) The book is the result of an experiment in studying macro-social change by putting people in cities at the centre of the action. (iii) The scope of the changes depends upon the relation between cities and states, the comparative power of the latter generally curtailing potentials for macro-social change in cities. The bulk of the book consists of four narratives. (iii) A modern creative interlude in western Europe rebalances political-economic relations thus releasing the potential for cities to become world-changing again, ultimately global in scope. (iv) Unleashing the potential of cities creates unique global crises in the twenty first century, both social and environmental. Can the world-changing abilities of people in cities meet these severe challenges? (iii) for institutions intervening between agent-structure relations, Scott’s theory of the simplifying state is contrasted with Jacobs’ theory of complex cities. The latter as foci of economic growth provide the potential for world-changing behavior. (i) Support for Jacobs’ controversial thesis that agriculture was invented to satisfy growing demand for food in cities. This directly challenges the commonly held nineteenth century supply theory of cities deriving from agricultural surplus. (ii) Cities appear before states; the latter are invented in cities and become their masters (city-states). 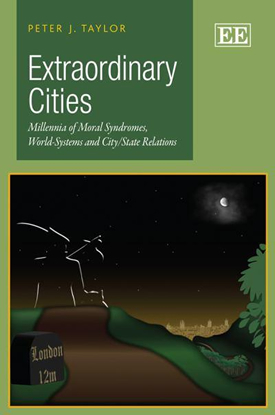 This challenges the common conflating of cities and states as ‘city-states’; they are very different macro-social processes – city-states are states, their territoriality indicated by the raising of city walls where there had been none before. (iii) Warring city-states generate larger states of multiple (conquered) cities – world empires that monopolise power with most of (i.e. normal) history indexed by the contingent rise and fall of empires. (iv) Cities still develop as major city networks but their potential for macro-social change is curtailed: the largest cities are political capitals of empires. (v) Western Europe’s weak imperial tradition gradually allows a city-led commercial revolution without a fully-fledged world empire to curtail it. Thus a relatively ‘underdeveloped’ (i.e. smaller cities) region becomes the site of new world-changing processes. (vi) This results in the modern creative interlude; it is world-changing as macro-social change in cities operates through hegemonic economic cycles rather imperial political contingencies as in normal history. (vii) This culminates in ‘Americanization’ morphing into contemporary globalization based upon economically powerful ‘global city’ processes (as described by Sassen) that constitute a new world city network facilitating global capital expansion. (viii) But there are serious pitfalls to this incredible urban economic success: notions of stewardship are lost thus making the twenty first century a new dangerous era of crises. But it is also an era of cities …. It brings together earlier work in political geography with current research in urban geography. This has allowed exploration of social times and social spaces thereby linking some historical and geographical scholarship into an integrated ‘geohistory’. The key issue is trying to apply the thesis of the extraordinary city to the travails of the twenty first century. The ‘ten billion’ demographic ‘problem’ looks very different when the focus is on the innovative potential of the unique urban majority of this era.